Viewing: / Notes / 2016 / October / 12 / Is Paul dead? Conspiracy theories aren't. Is Paul dead? Conspiracy theories aren't. It's time to come out of the closet on this one. This may infuriate some friends (and even some business colleagues), but I have to say: I’m not a conspiracy buff. My rejection of the above, taken as a whole, likely puts me in the minority among U.S. adults these days. This argues for (among other things) a curriculum overhaul in American schools, addressing our illiteracy in civics, history, science, and more—but that’s another topic for another occasion. How, you might ask, have I come to embrace such a heterodox worldview, given the ubiquity of urban legends? Well, I was schooled early. I was exposed to many conspiracy theories in my early music days, my favorite of which was the “Paul is dead” controversy surrounding the Beatles. The rumor was stoked and enhanced by University of Michigan student Fred LaBour who, with tongue planted firmly in cheek, enumerated the many clues to the proposition in a campus newspaper article. (LaBour went on to become the bassist of the popular Western swing band, Riders in the Sky.) His evidence included the photo of The Beatlles (on the Abbey Road album cover) walking across the road in a supposed “funeral procession”—along with various mumblings on their recordings (backwards and forwards) that purportedly mentioned the death of Paul. Pretty goofy, right? Yes, we can all laugh about it now. But many folks at the time believed it. Some radio stations devoted entire programs to weighing the “facts” of it. Even the L.A. manager of my rock band at the time (who at least in business matters was anything but gullible) bought it hook, line, and sinker. The Beatles, recognizing a publicity windfall and a boost in record sales, were deliberately slow to respond, which only advanced the story. (It’s useful to note that conspiracy theories can be very profitable to certain parties.) Eventually Life Magazine published an interview with Paul McCartney—or someone claiming to be Paul!—in which he explained that he was still alive, for the most part, but pursuing a quiet family life on the farm. After that, the rumor quieted down considerably, but never disappeared. In ways that parallel the stickiness of other conspiracy theories, LaBour still gets contacted by true believers who have new evidence to show that the real McCartney died decades ago. Sound familiar? But if these are the sites where we get our news it’s no wonder so many of us believe in NAFTA superhighways, FEMA death camps, and rampant US election fraud (even in the recent Democratic primaries). At least 90% of the web articles that people delight in sending me to support their favorite urban legend come from these websites. The mainstream media—assuming the word means anything these days—is obviously not infallible nor bias proof. Viewers/listeners/readers should understand these biases and take them into account. But at least we know who the anchors, reporters, and pundits are, their history of reporting, how to contact them, etc. (And often I DO contact them.) They’re under the spotlight and are subject to withering public criticism when they get things factually wrong—and they often have to apologize. Not the case with reporters on the fringe (often writing under aliases) who have little to lose—and so much to gain—by being fabulists. Another contributor is our disillusionment with—and our distrust of—established authority. This predictably occurs after severe economic downturns, as history repeatedly shows. Combine that with acts of terror and natural disasters, as is the case in much of the world today, and the result is a nearly universal antagonism towards the powers-that-be, the “elites,” the folks running the system. Our leaders MUST be operating with evil intent, right? Of course who constitutes “the establishment” proves difficult to define. And it’s always someone else. In the political arena, everyone gets cheap points by accusing opponents of being part of that establishment. Having said that, I can't deny that the system is rigged in certain ways. But not in every way. And not in ways we can’t change. Especially if we educate ourselves. And learn to pay attention to where our information is coming from. In the meantime, we should all ponder the wise counsel of historian Henry Louis Gates. Conspiracy theories are an irresistible labor-saving device in the face of complexity. And Paul McCartney is alive and well. But you're a little too smug in dismissing the threat of lizard aliens. Well, I’m certainly a member of the business-lessons-from-rock establishment that serves a YUGE community of people who apply lessons from rock & roll to their business life. I take my awesome responsibility seriously. As my fan base approaches double digits I promise to not let it go to my head. I’ll take your advice and have my staff of crack investigative reporters look into the lizard thing. I HAVE been hearing complaints about bosses displaying reptilian behavior, but I never took those stories seriously until now. Human Resources needs to do a better job screening new hires and identifying obvious characteristics. Candidates crawling on four legs should be a dead giveaway. Excellent point. HR should do "extreme vetting" (a term I just made up) to weed out the obvious suspects. Veterinarians (maybe extreme vets) would be useful here too. are you equating skepticism about climate change with trutherism???? No. I want to emphasize I’m not implying that anyone who questions global warming is crazy. There is a small minority of climate scientists who still doubt or question it. Fine. But when someone says that anthropogenic (man-made) global warming is a prefabricated hoax (pardon the redundancy)—implying that there is a community of scientists and government policy makers conspiring together to fraudulently distort data to deceive the public—that’s a whole different ballgame. That’s loony-tune territory. And the fact that a US Presidential candidate has said it (though now he denies it) speaks volumes about the poor fellow. Also, each of these conspiracy theories is a rabbit hole of its own. Difficult to compare and contrast. My favourite is that the moon landings were all a hoax: how come the flag was flying not drooping (it was hung from a horizontal bar) etc etc. I'm amazed so many of the hoaxers involved haven't come forward to explain how it was all done. Too many lazy cynics and not enough sceptics, methinks. Nice distinction between cynic and skeptic. In the current brouhaha about US election fraud, we have an abundance of cynics and not enough skeptics. 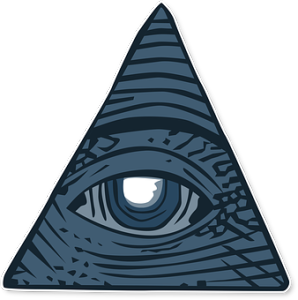 Are there any conspiracy theories you buy into? Well, I have questions about some of them, especially when I don't have the time to look closely. I noticed that conspiracy author Jack Cashill has written a book objecting to the official story of the crash of TWA Flight 800 in 1996 over Long Island. That incident has never been adequately explained, to my mind, but that doesn't mean the plane was shot down by a missile. Btw, I would have thought that Cashill had never met a conspiracy he didn't like—but I just found out that even HE thinks "911 as an inside job" is a goofy idea, and he explains why pretty cogently. When a major conspiracy buff like Cashill—as well as top investigative journalists and reporters—are skeptical of 911 Truth, that says something.